Castles, towers, skyscrapers: all rich pickings for the travelling architecture lover. Why not add a hill of garbage, a modern mosque or the site of the world's oldest drawings to your travels in 2017? Let architectural appreciation take you into Copenhagen's industrial lands, where ski slope meets waste disposal at Amager Bakke​. 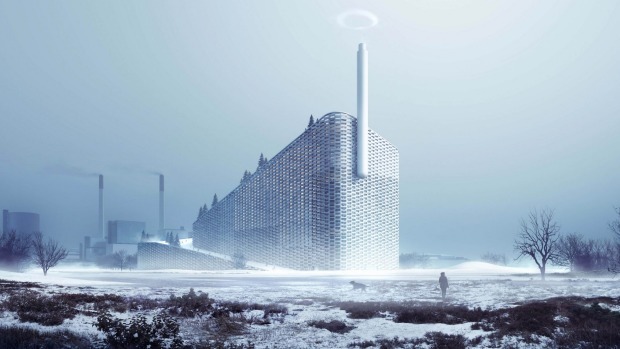 The Amager Resource Centre has been converting waste to energy since the 1970s, and next year will give residents a place to burn their energy – on its roof, which is being converted into a ski slope and green space for mountaineering and walking, by Danish wunderkind firm Bjarke Ingels Group (BIG) (stateofgreen.com). For those still at the starting point of their architecture career, go back to the basics in Billund to LEGO House – aka "home of the brick". Another BIG project, it references the blocks with 21 interlocking and overlapping buildings, with roofs brightly coloured by leftover materials from the manufacture of sneakers (legohouse.com). This tiny Middle Eastern kingdom has a surprising wealth of hyper-modern architecture alongside traditional Bedouin construction in the gorgeously rustic Souq Waqif and the World Cup 2022. Driven by ruler Sheikh Abdullah bin Jassim Al- Thani​, 2017 hopefully sees the opening of the National Museum of Qatar by French powerhouse Jean Nouvel. Its ultra-modern interlocking disc design was inspired by the desert rose, and is built around the Sheik's original palace. If you're in town, the construction site gives signs of great things to come, as befits its $400-million-plus price tag. 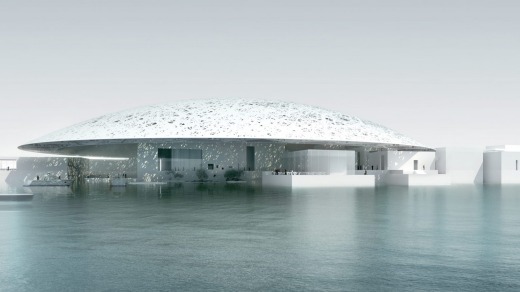 Staying both with the Arabian Gulf and also Ateliers Jean Nouvel, the architecture firm is happy to say that the Louvre Abu Dhabi will finally open in 2017. There have been plenty of false alarms, but Saadiyat Island will eventually house five museums by five giants of architecture – Hadid, Ando, Gehry and Foster, as well as Nouvel. The Louvre's key feature, a massive dome, filters dappled light into the gallery to create what Nouvel describes as "a welcoming world serenely combining light and shadow, reflection and calm" (louvreabudhabi.ae). Copacabana Beach is the inspiration for the seaside Museum of Image and Sound (MIS). Its key feature is a "vertical boulevard", a walkway that continues from the ground up the building's facade, aiming to lure strollers off the beach promenade and into its interior. Designed by NYC-based architects Diller Scofidio + Renfro, the eight-storey building aims to have the city's best exterior views of the beach, and interior views of its collection, accessible not just by high-spending tourists but also cariocas – the people of Rio (mis.rj.gov.br). All the architecture world is talking about New York City – the rejuvenation of its Hudson Yards district blossoming in 2018, and the long, dark shadows over Central Park, courtesy of a string of ultra-skinny residential towers. Starchitects are jostling for their first foray into residential skyscrapers in New York, each name bigger than the last: orient yourself to spot the first Zaha Hadid (520 West 28th St), Isay Weinfeld (527 West 27th St), David Chipperfield (16 West 40th St), BIG (625 West 57th St), Herzog & de Meuron (57 Leonard St), Foster + Partners (100 East 53rd St). Forget shy and retiring, they're flexing their statement-making muscles, relishing their influence over the city's skyline. You don't need a passport to see some of the best architects at work – Melbourne is getting a "friendly" new Jean Nouvel skyscraper on 383 La Trobe St, while Zaha Hadid's first Melbourne project has been approved at 600 Collins St. But look to a quiet, decade-long project in the western suburbs by Australia's most decorated architect and now chairman of the prestigious Pritzker Prize Jury, Glenn Murcutt​. In collaboration with Melbourne architect Elevli Plus and the Australian Islamic Centre, the new, contemporary mosque has is no minaret, no dome, no call to prayer. The concrete mosque is topped by 96 three-metre-high lanterns on the roof and coloured glass windows that cast colour onto the main prayer room. See an exhibition about the mosque at the National Gallery of Victoria until February 19, 2017 (australianislamiccentre.org, ngv.vic.gov.au) Otherwise, it's time to return to Tasmania, where the ever-innovative MONA, upriver from Hobart, is opening gallery dedicated to US artist James Turrell. Anticipated for a late 2017 opening, the Turrell Ganzfeld Pavilion of light works juts 20 metres out over the Derwent River and is entered underground (mona.net.au). In previous years, we have named projects that continue the path to completion, including the Elbphilharmonie​ Great Hall in Hamburg, while London's Serpentine Gallery and Melbourne's M Pavilion showcase innovation each year, and Hadid projects pay homage to Dame Zaha Hadid's unexpected passing, earlier this year. And finally, here's the caveat to the list: to nail down a completion date means you have to have hope – hope it doesn't flood, hope the client doesn't change their mind or hope the money doesn't runs out. So take these completion dates with an artery-hardening-sized pinch of salt.